In a move that no one can sensibly object to, traffic police across Europe will be conducting seatbelt checks throughout the week of 8th to 14th September. Vehicle occupants who do not wear their seatbelt will be issued with a penalty. The action is part of a Europe-wide operation co-ordinated by TISPOL, the European Traffic Police Network, which takes place throughout next week. TISPOL President Koen Ricour says: "Using a seatbelt is a quick and simple task; it's also a highly effective way of reducing the consequences of a collision. That's why wearing a seatbelt is not a matter of personal choice, but is compulsory for drivers and passengers in every European country. 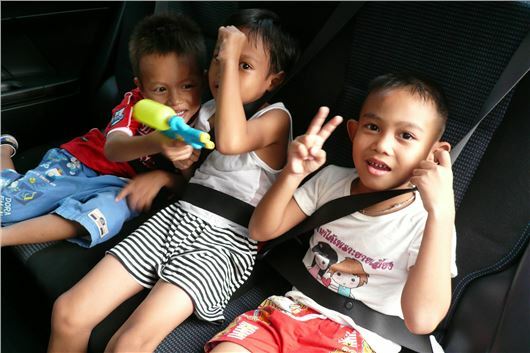 "Yet there are still drivers and passengers who for whatever reason do not use a seatbelt. "We urge drivers to take responsibility for their own safety and for the safety of their passengers, by ensuring everyone wears a seatbelt on every road journey. After all, the use of seatbelts is the single most effective method of reducing fatalities and serious injuries in motor vehicle collisions." Many 'classic' cars dating from before the mid-1960s are not fitted with seatbelts. The risk this creates for occupants was tragically illustrated recently when the female passenger of 1959 Ford Anglia was flung from the car and killed in a motorway crash the car was caught up in. So even owners of classics are advised to retrofit seat belts.